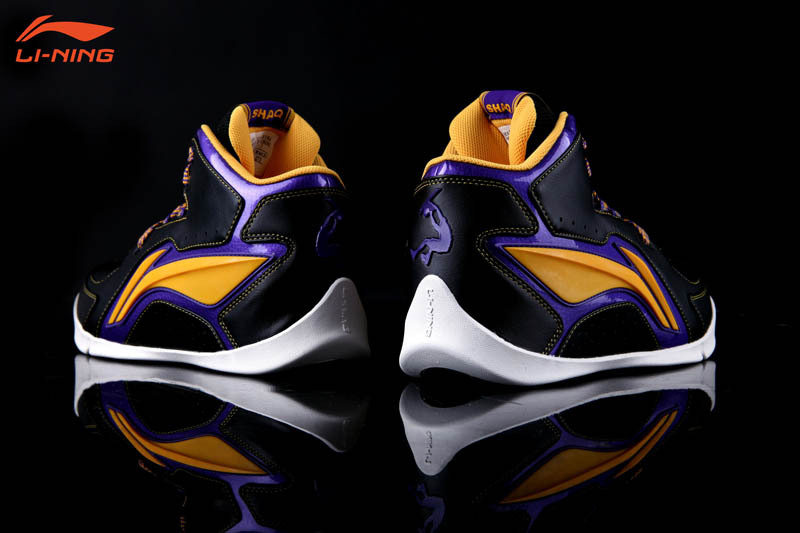 Li-Ning Shaq Zone - "Lakers"
After an initial look at the Celtics colorway, here's the Li-Ning Shaq Zone in a Lakers make-up. 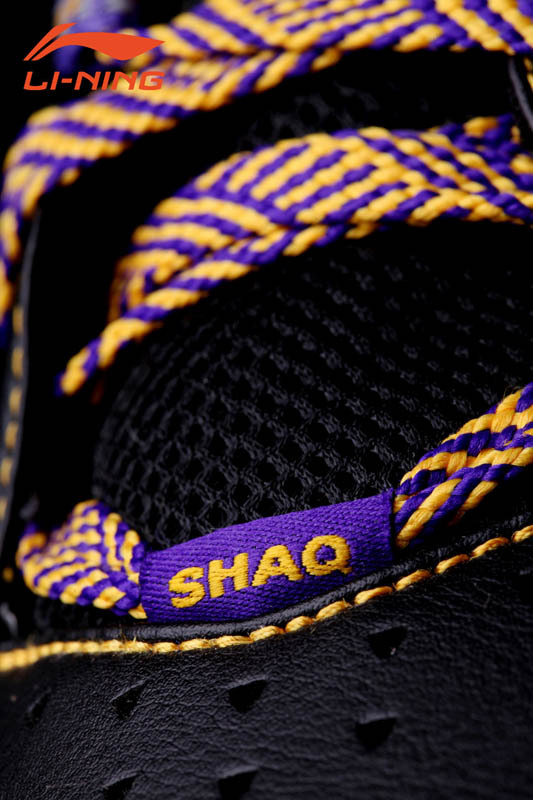 Last month, we gave you the first look at Shaquille O'Neal's first post-retirement sneaker under the Li-Ning brand, the Li-Ning Shaq Zone. 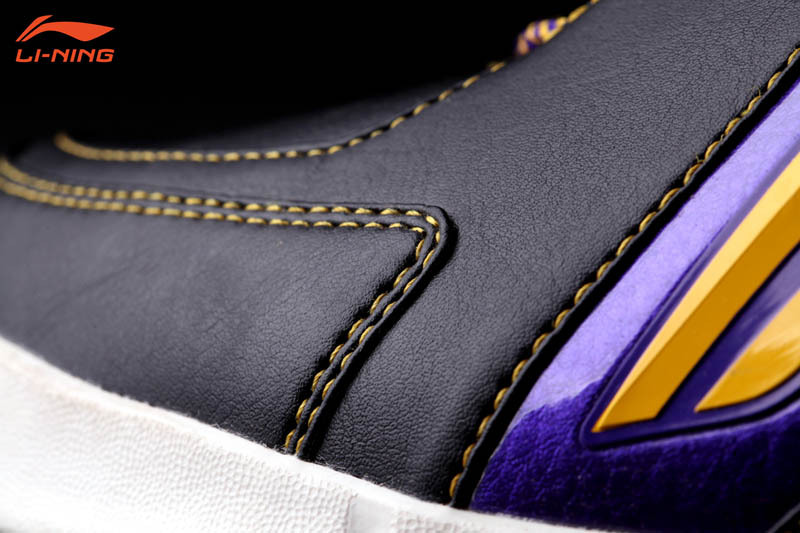 The mid-cut sneaker features a layered full-grain and patent leather upper, perforations for enhanced breathability, a toebox overlay for increased durability and a low-profile sole. 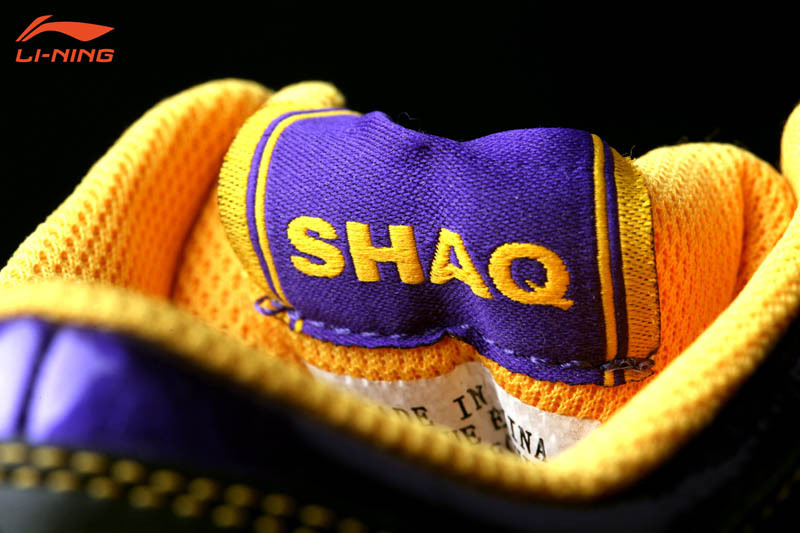 With Shaq wrapping up his legendary career in Boston, the shoe featured a Celtics-themed colorway. 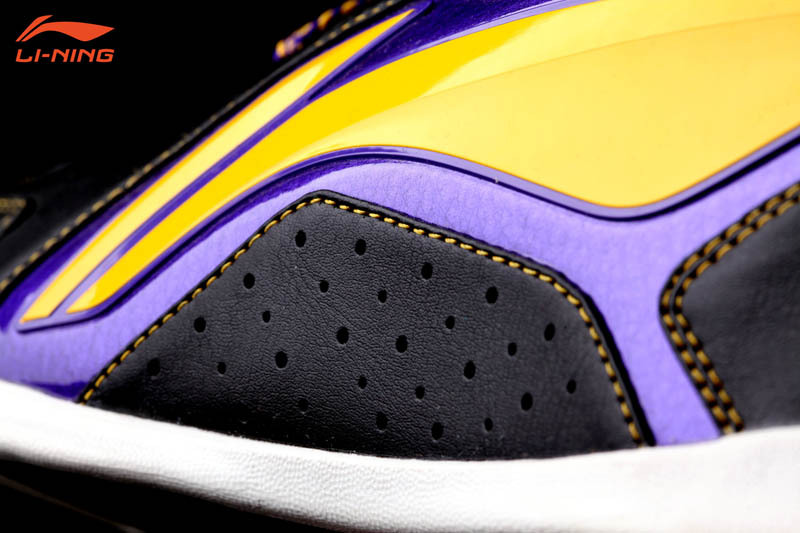 Like anything involving the Celtics, the Shaq Zone needed a Los Angeles Lakers counterpart, and we have images of that colorway for you today. 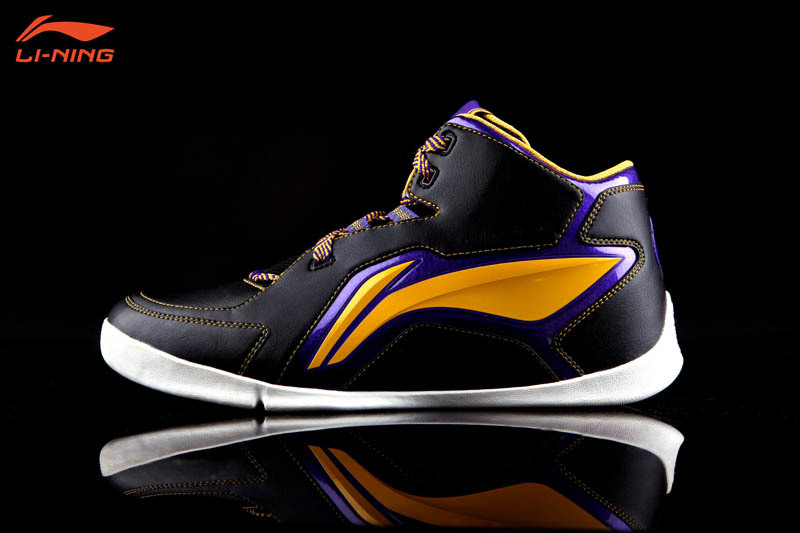 The "Lakers" Shaq Zone is black leather-based with purple patent leather trim throughout. 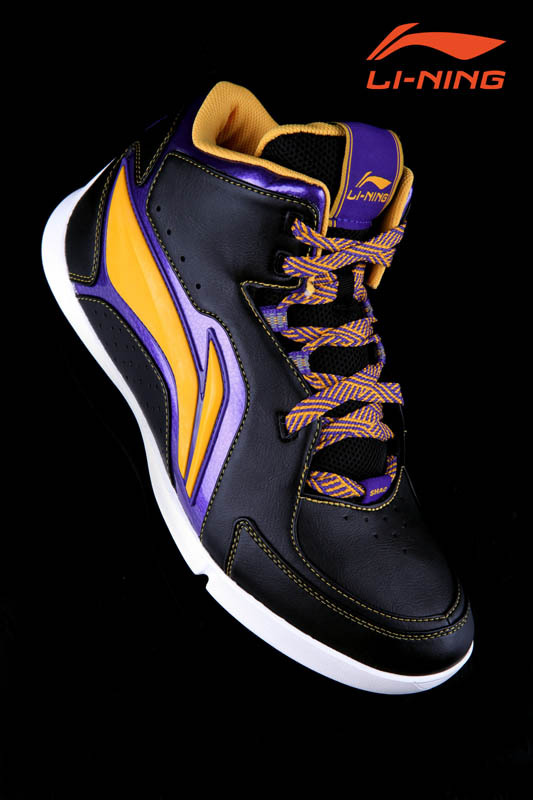 Gold works the inner liner, large Li-Ning branding, laces and contrast stitching. 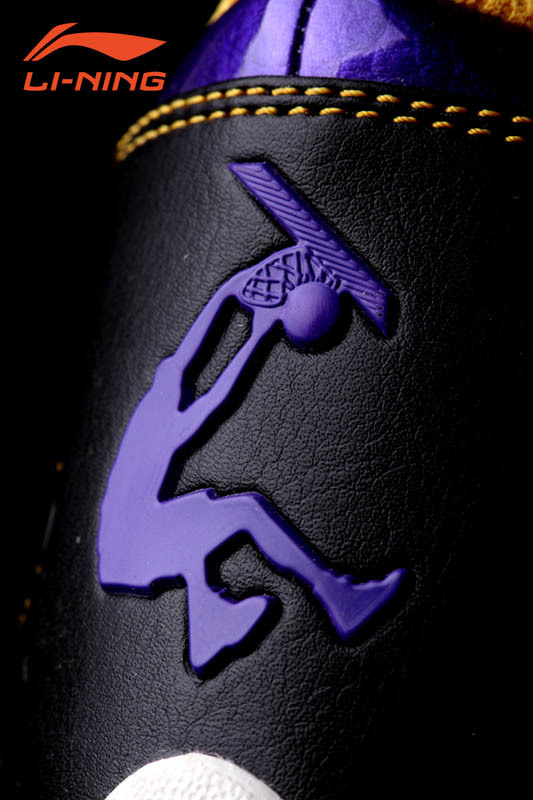 Shaq's Dunkman logo appears in purple on the heel. 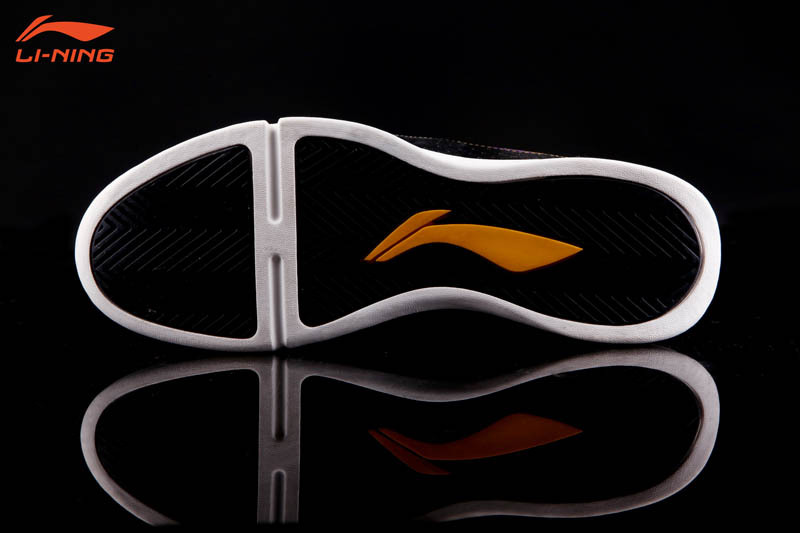 The midsole is done in white and is finished off with a black rubber outsole. 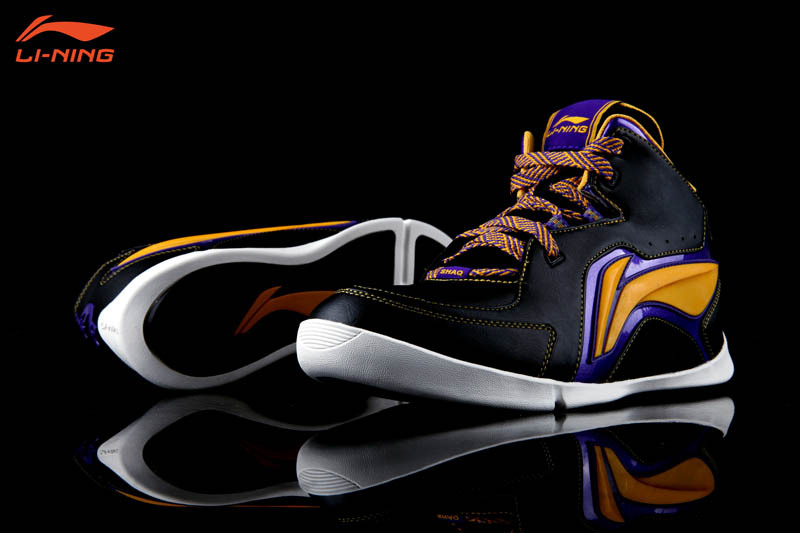 You can find the Li-Ning Shaq Zone at retailers today exclusively in China.